Cahuita National Park (or Parque Nacional Cahuita in Spanish) in the south of Costa Rica is one of the most incredibly nature dense places I have ever visited. Filled with monkeys, sloths, racoons and a bunch of amazing sea creatures. 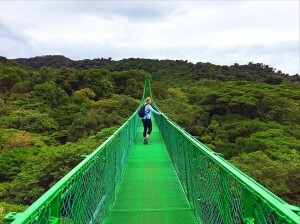 This is a must do for any nature lover visiting Central America. There are a bunch of national parks to choose from in Costa Rica, but I love Cahuita as it isn’t filled with tourists. It’s also where the ocean meets the Carribean Sea meaning you’re constantly in awe of the scenery. I spent a day here wandering around the park, swimming, photographing animals and generally discovering all of its charms. 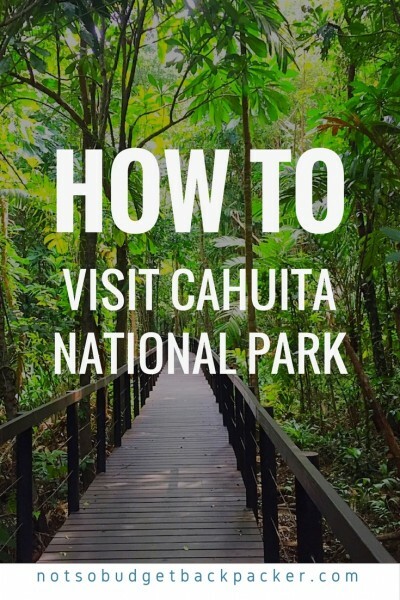 Understanding how the park works and how to get there and around it can be a little confusing, so I’ve pulled together my ultimate guide to Cahuita National Park Costa Rica. Hiking boots and camera at the ready! Most people tend to visit Cahuita National Park as a day trip from popular tourist town Puerto Viejo. And while this is an easy option with the journey from Puerto Viejo to Cahuita National Park being a quick 30-minute bus ride, I would actually recommend spending a night or two in Cahuita Limon which is a much smaller chilled out town. 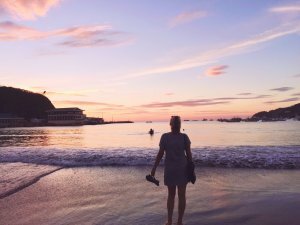 From here you can spend a day exploring the rainforest and a day chilling on the beautiful white sand beaches which are much nicer than those in Puerto Viejo. Then head from Cahuita to Puerto Viejo for the party and Rasta atmosphere. I stayed at the Hakuna Matata Hostel and it was basic but comfortable. Perhaps a little hot as there was only one fan in our dorm. You can check the latest rates and availabilities for Cahuita National Park hotels and hostels here. If you decide to visit Cahuita Costa Rica as a day trip from Puerto Viejo it’s very easy to reach. There’s a bus that leaves from the centre of town every hour on the half hour Monday to Friday. And less frequently on the weekends. The bus will drop you in the centre of Cahuita Costa Rica. From here, walk down one block to the main road and then to your right. Where you’ll start seeing signs to the entrance. Keep walking a couple of blocks and you’ll see the national park entry building. If you’re staying in Cahuita Limon. It’s simple just follow the above walking instructions. If you’re heading to Cahuita National Park from San Jose head to the Terminal Atlantico Norte, located on Avenida 9 and Calle 12. The buses to Cahuita leave at 6:00 a.m., 10:00 a.m., 12:00 p.m., 2:00 p.m. and 4:00 p.m at takes around 3.5 hours and will cost you $9 USD. 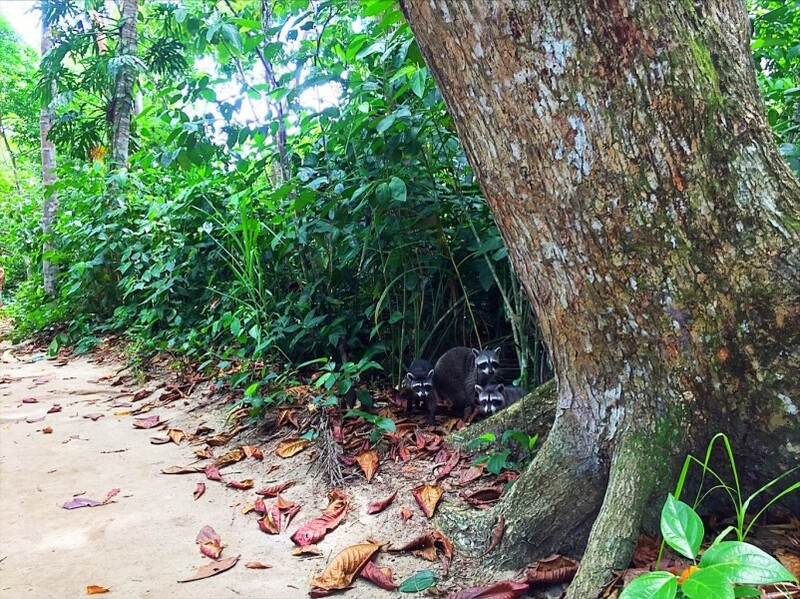 What does it cost visit Cahuita National Park? 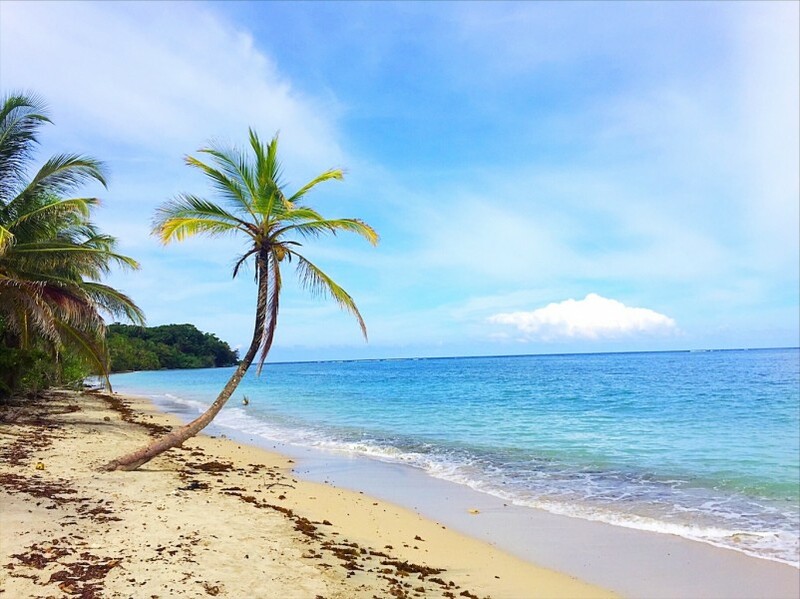 The beautiful white sand beaches of Cahuita National Park Costa Rica. 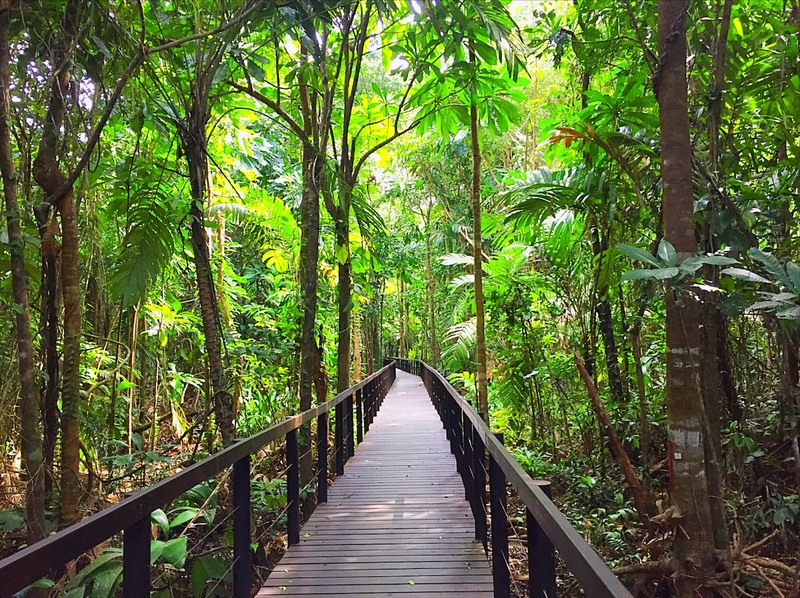 There are actually two entrances to Cahuita National Park Costa Rica. The main entrance is from Cahuita town as mentioned earlier. Entry from here is free but you can make a donation which goes toward keeping the park running. So you should probably pop a few dollars in here. There is a second entry about 5kms from the centre of town along the main highway. Entry from here is $10 per person. There is an 8km hiking trail that connects the two entrances which is a lovely way to experience the park. 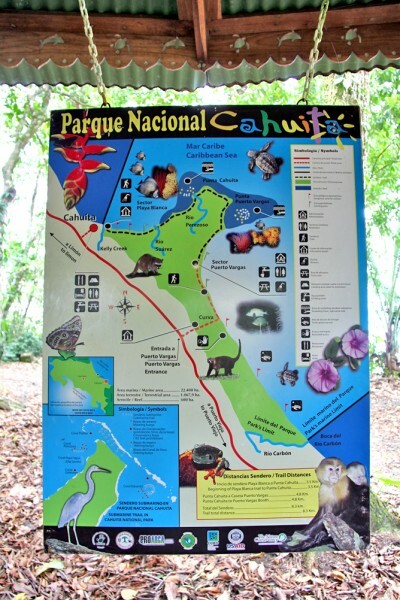 Cahuita National Park is open daily from 6am to 5pm. 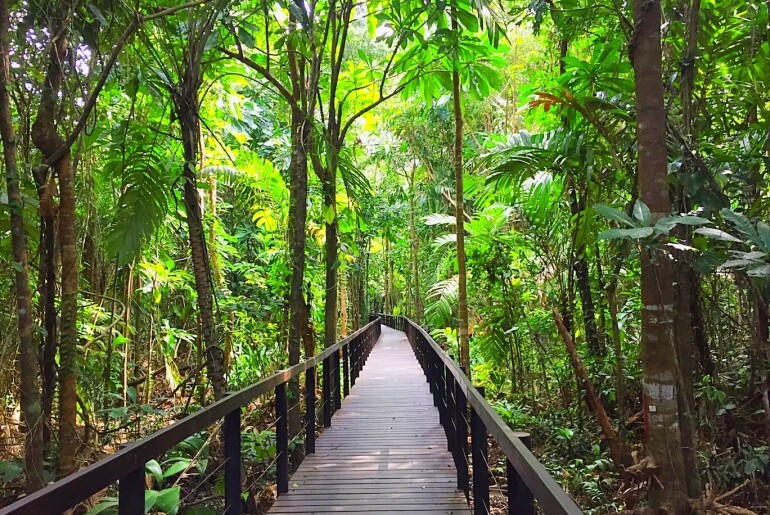 Hiking Cahuita National Park Costa Rica is definitely the best way to experience all it has to offer. I entered the park from the main entrance in Cahuita town and walked for a couple of hours until I reached Puerto Vargas. This entire part of the hike has the jungle on one side and the beach on the other, so it’s pretty stunning. 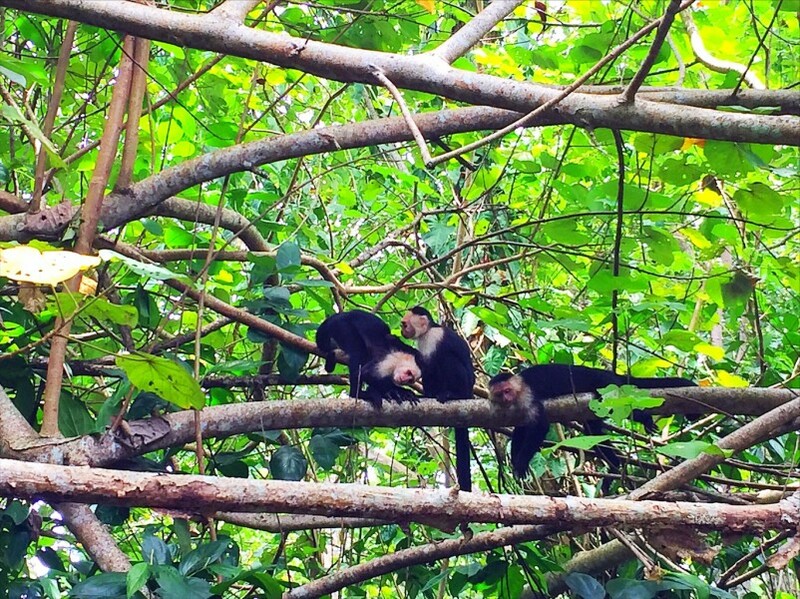 I was also lucky enough to spot a bunch of monkeys and a little family of racoons which was so cool. A family of racoons coming out to say hi. It might be nicer to entre from the second entrance and finish your hike at Cahuita Town as the beach there is really lovely. You do just have to pay the $10 entry fee. Bring a zoom lens and binoculars if you have them as the animals can be quite far away from the path. 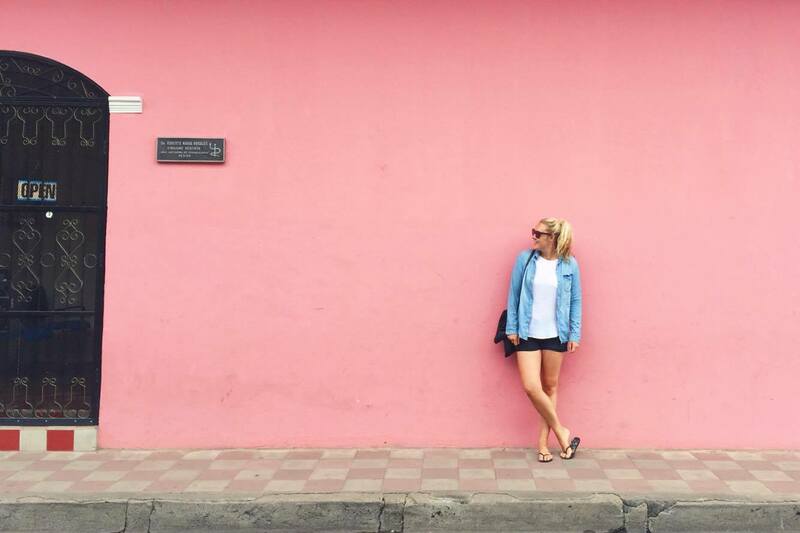 after more fun things to do in Central America?